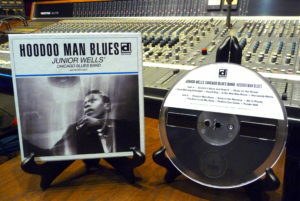 Home / New Release / Junior Wells’ Hoodoo Man Blues – Now Available for the First Time on Reel-to-Reel! Order before May 12 for discounted pricing! Available on reel-to-reel for the first time! 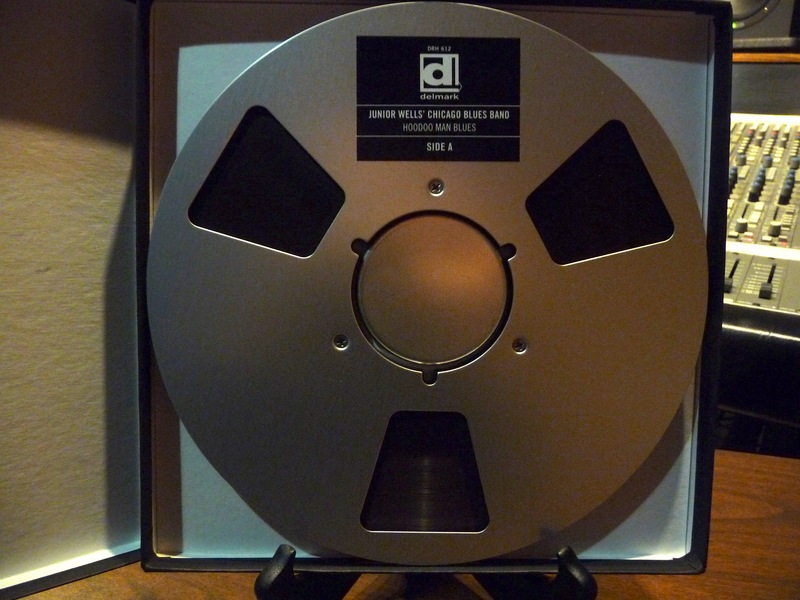 To create the production master for this product the original analog master tapes were played on an optimized Otari MTR10 and copied to a newly refurbished Ampex ATR 102 using RMGI SM-900 tape stock. 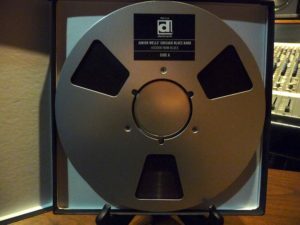 Subsequent copies were made on more Otari MTR10s using SM-911 tape stock. Copies are available for purchase in half-track format recorded at 15ips (IEC) on two ten-inch reels housed in two cardboard boxes with UV-coated cover art and liner information, then inside a cardboard slipcase. 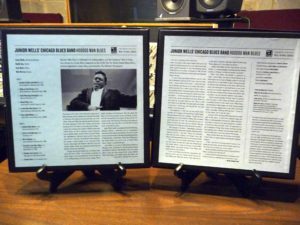 Copies are also available in quarter-track format recorded at 7.5ips on one seven-inch reel housed in a cardboard box with UV-coated cover art and liner information. 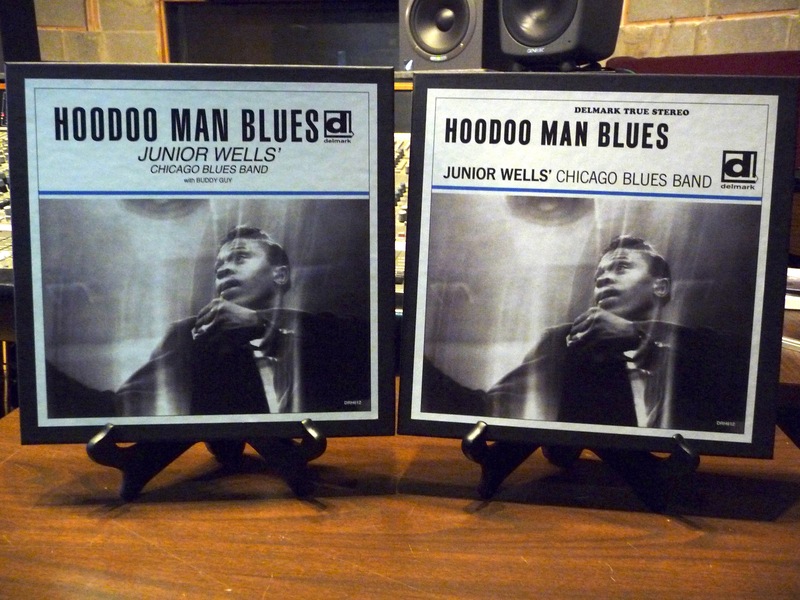 Hoodoo Man Blues is Delmark?s #1 selling album, is in the Grammy Hall of Fame, was chosen by Living Blues magazine as one of the Top Ten Desert Island Blues Discs, and has appeared in many films; most recently, in The Hitman?s Bodyguard. 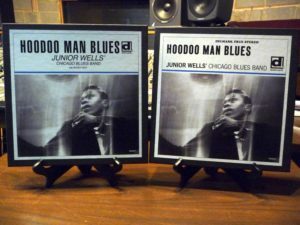 Recorded in September of 1965 Hoodoo Man Blues was recorded in the studio with the idea to present the band on LP the same way they performed live at Theresa?s Lounge on Chicago?s south side. Prior to Hoodoo Man the blues market was a singles market where songs were limited to 3 minutes each to both fit on a 45rpm record and appeal to radio programmers. Hoodoo Man changed that. Producer Bob Koester said ?I didn’t realize that this would be the first time a working Chicago blues band recorded in a studio for LP release with no 45 rpm singles planned and the artists given full freedom as to running time of the tracks.? During the session there was a problem with Buddy Guy’s guitar amp. The engineer knew that a moving session shouldn’t be interrupted so he wired Buddy into the Hammond B-3 Leslie speaker for several tracks. To this day guitarists are still using this technique as did The Beatles on Let It Be. The first seven thousand pressings of this album bore the pseudonym Friendly Chap for Buddy because it was thought he was under contract to another recording company. A British kid named Peter Brown worked at Delmark?s sister company, Jazz Record Mart, and attended the session. Koester told him he could pick the pseudonym. “Well, a buddy is a friend and a guy is a chap. How about Friendly Chap?” Those early versions of the LP are now collector items selling for over $100 each. Delmark is proud of the part Hoodoo Man Blues played in the popularization of the real Chicago blues and of Junior Wells. But the credit belongs to Junior, Buddy, Jack and Billy – they made the music. We just sat and dug it. Also available on CD and LP!